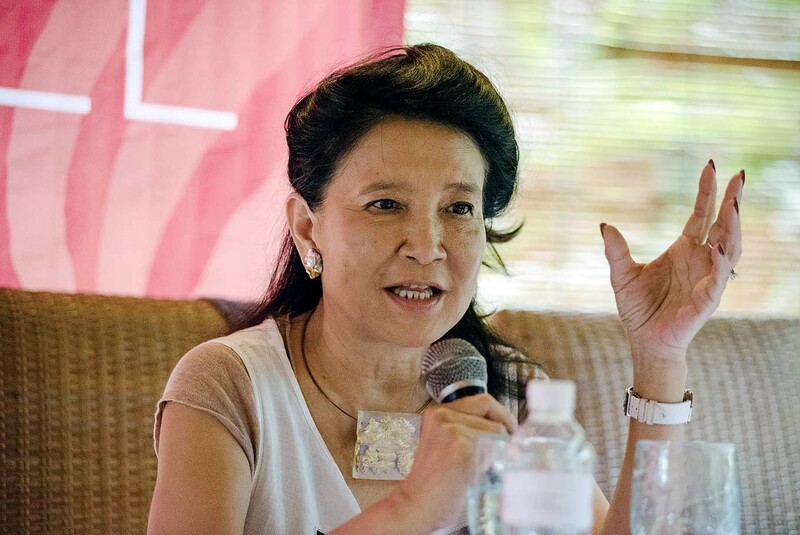 Chinese-born British writer Jung Chang published her landmark book Wild Swans: The Three Daughters of China almost a quarter century ago, but her touching and extraordinary story thrills and deeply moves people until today. 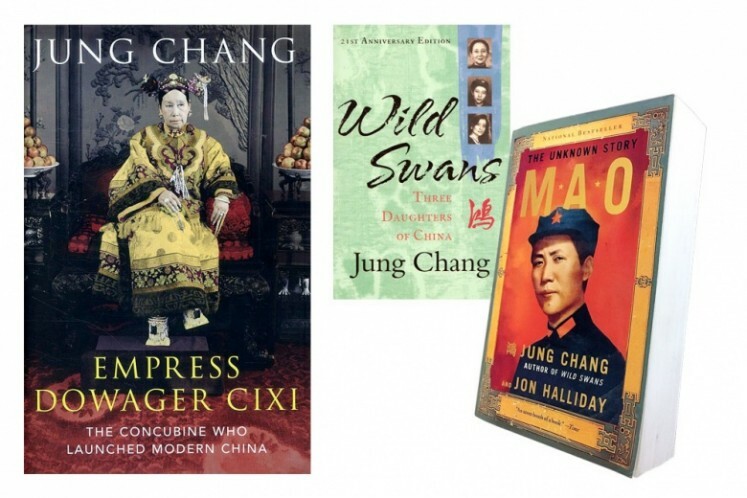 Jung Chang’s book Wild Swans: The Three Daughters of China continues to captivate readers with its story of brutal political turmoil in China over three generations of her family — from her grandmother via her mother to herself. With more than 13 million copies sold and translated into nearly 40 languages,Wild Swans has become one of the most successful non-fiction books published in the 20th Century. More importantly, Chang is a first-hand witness and survivor of the cruelty of the Chinese Revolution. “I chose the title Wild Swans, because I am a wild swan. The Chinese character on the cover of my book means wild swans in Chinese,” she says. She was given the name Er-hong, or second wild swan, the word “hong” meaning wild swan. While in the country for the recent Ubud Writers and Readers Festival in Bali, the 65-year-old author looked beautiful and glamorous in her long green silk dress. Beauty and happiness are two words that rarely came to her mind in her early life during Mao Zedong’s Cultural Revolution. China, at the time, she recalled, was grim and barren, with people only allowed to dress in Mao’s dark blue or grey jackets and pants during winter and white clothes in spring and summer. “If the Red Guards saw women with long hair and wearing high heels, they would slice them off. Anyone who showed any interest in his or her appearance was condemned as bourgeois and spiritually corrupt,” she recalled. They did not have public parks or gardens. Entertainment was considered a sinful thing. Books, especially literature, were burned and writers were sent to jail or labor camps, she said. For Chang, it was impossible to become a writer, as nearly all of them were jailed, sent to labor camps or even executed. Born in Sichuan province to prominent Chinese Communist Party members, Chang experienced the Cultural Revolution first-hand. Like other teenagers, she briefly joined the Red Guards when she 14. Her father and mother, both respected and high-ranking officials, openly criticized Mao Zedong’s policies, which led to their imprisonment. Her parents also faced public humiliation with ink poured over their heads. Her father was sent to a labor camp, and her mother was held in detention and tortured. Chang was exiled to the edge of the Himalayas, where she spent several years as a peasant, a “barefoot doctor” — treating people in rural areas despite only having basic training — and later in a factory as a steelworker and electrician. After Mao died in 1976, Chang was given a scholarship upon graduating from Sichuan University and working there as a lecturer. She was the first wave of students allowed to leave China in 1978. She became the first person from China to earn a doctorate in linguistics in l982 from the University of York. Chang met her husband, historian Jon Halliday, in London. In l988, her mother came to visit her and stayed with her in London. Trauma caused by the Cultural Revolution haunted her, giving her nightmares, even after she had moved to Britain. Indonesia is no stranger to the writer. Chang and her husband visited the country several times when conducting research and interviews for their book on Mao. They met with numerous people and families affected by the 1965 political upheaval. Parents, she said, probably did not tell these traumatic experiences, because they wanted to keep their children away from these taboo subjects. In 2005, together with her historian husband, Chang published her other groundbreaking book: Mao: The Unknown Story — a 900-page account of Mao’s life, the result of 12 years of research. The book shows Mao as one of the most monstrous tyrants of the 20th century. The book also says that Mao was no orator and lacked both idealism and a clear ideology, driven instead by a personal lust of power. “North Korean leader Kim Jong-un is following in Mao’s footsteps. He really learned a lot from Mao,” Chang said. Chang’s latest book — Empress Dowager Cixi: The Concubine who launched Modern China, centers on the empress, who ruled China behind the scenes from 1861 to 1908. While in China’s history the empress was portrayed as tyrannical and vicious, Chang presents her as a reformer and a feminist. Chang says the empress actually started the reforms and brought the medieval China into the modern age. The word feminist first appeared in a Chinese newspaper during her reign, Chang pointed out. She attributes this lack of awareness to a failure to read about history. All of Chang’s books are banned in mainland China. She noted that the present government in China discouraged people from being interested in politics, history, creative writing or literature, instead encouraging them to become successful businessman. Many intelligent people have gone into business as the channel to express their talent, not the arts and literature. “I love China, I love the people so dearly knowing what they have been going through,” she says.